Out with the old and in with the new - is it time to update your workspace with new trends and ideas on office furniture? Companies are adapting to their business and employee needs by developing innovative work environments that foster productivity, creativity, and collaboration. The following are seven popular office furniture trends being adapted across the board. Shared Workstations – Collaborating and working in teams is essential in today’s work model. Instead of individual cubicles and offices, employees have their own desks in shared spaces that give the opportunity to share ideas while working, easily ask questions, and have impromptu conferences. Eco-friendly designs – With companies and individuals becoming more environment-conscious, sustainable office furniture is becoming popular. At Tiger Leasing, we work with equipment vendors from a number of brands that offer a wide-selection of sustainable office solutions. Efficiency desks – Employees who are away from their desk can be just as productive as those tied to their desk. These mobile employees needs a smaller, more open and more efficient base to return to that doesn’t require “settling in” time. This saves space and time. Desks on wheels – Who said your desk had to be nailed to the floor? Wheels with locks allow your workstation to be portable and thus adjustable to improve your work flow. New environments can be inspiring and increase creativity. Open floor plan – According to CCIM, many offices have transitioned from the standard of having 40% of staff behind doors to around 17% to cut down on construction and tenant improvement costs. It also fosters a more collaborative environment. Movable walls – these allow companies to interchange the look, feel, and flow of an office to adapt to different project teams or employments shifts. Bringing the outdoors indoors – Integrating elements from nature, like plants can not only improve air quality, but boost morale and productivity. According to recent studies, plants in the office enhance productivity and decrease stress by 12%. Looking to improve your office space but not sure it will fit in your budget? 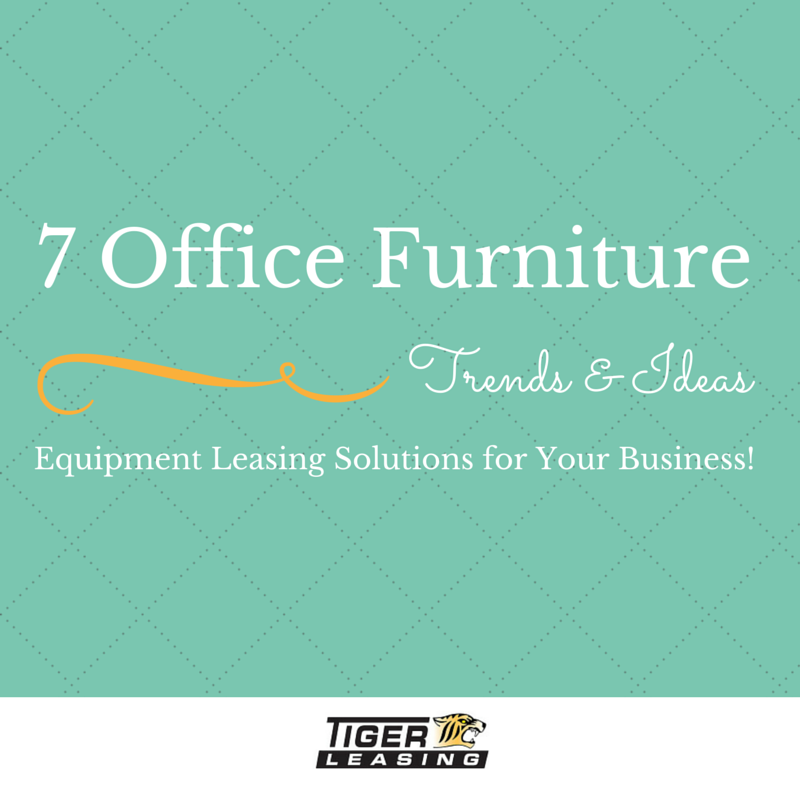 Tiger Leasing provides a variety of equipment leasing programs that can help you give your office a major face-lift without breaking the bank. Contact our team to learn more about how we can help you with all your equipment leasing needs. 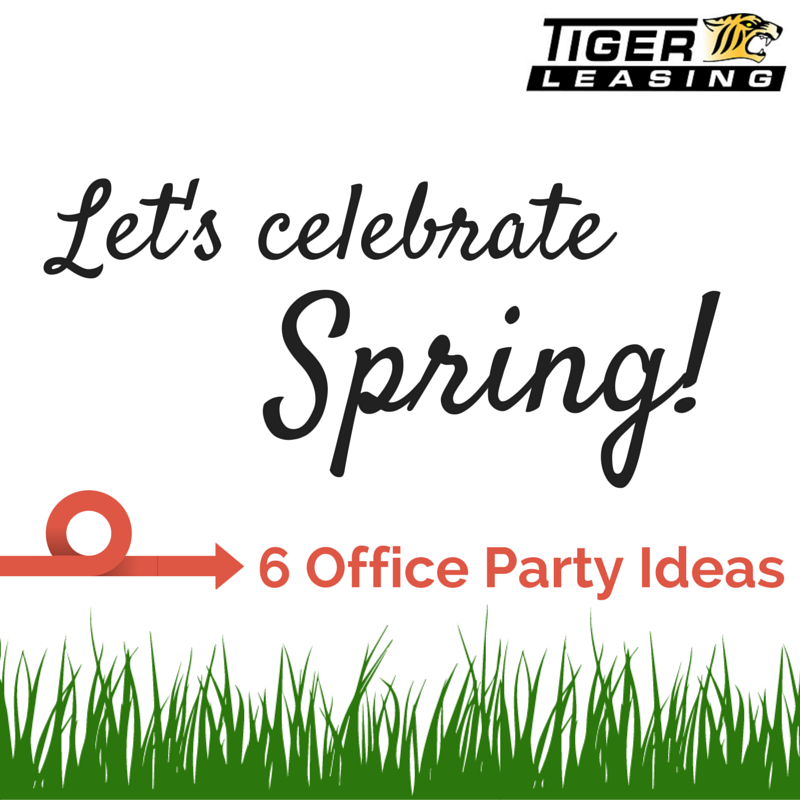 Be sure to follow us on Facebook, Google+, and Twitter to stay connected on the latest Tiger Leasing has to offer. Make use of natural light - Assuming your office has windows, natural light can be a great asset to energy savings. Try strategically installing blinds and window coverings to block the sun’s rays in warmer weather and keep your office cool. 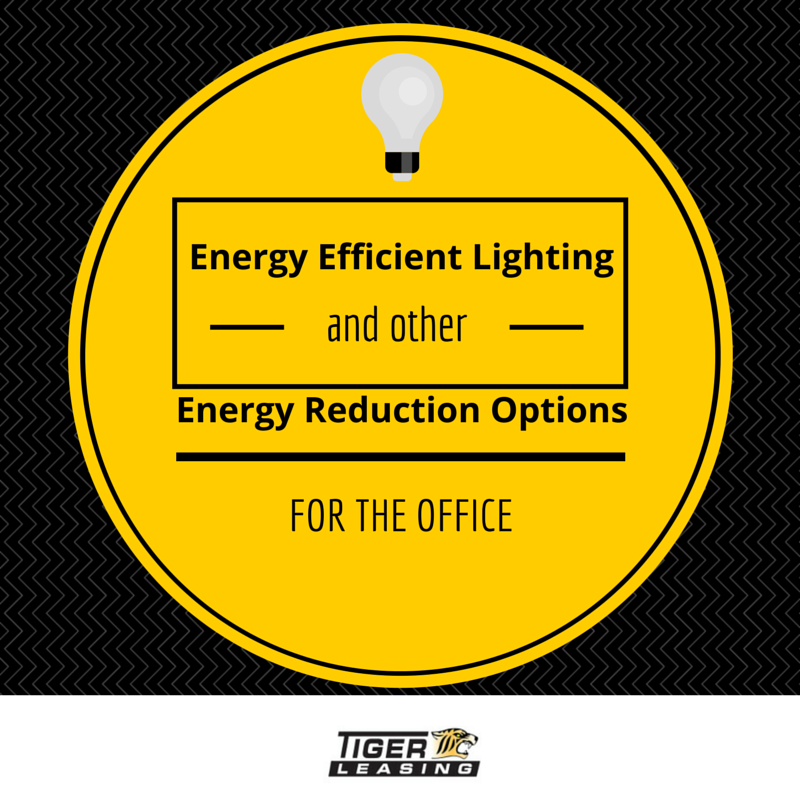 Then in cooler months, allow light in to help heat your office and keep it bright. Turn off all equipment at the end of the day - Although this may be a no-brainer, turning off your electronics overnight can greatly reduce energy consumption. Use power strips to easily turn off multiple units at once. If possible, unplug units to ensure that no energy leakage occurs. Remember that equipment on standby is different than equipment that is completely turned off. Invest in ENERGY STAR-qualified products - Consider equipment leasing or financing of office products that are equipped with energy-efficient designs. There are a wide variety of products including things like computers, copiers, printers, and commercial appliances. If you think you’re ready finance or lease energy-saving office equipment and lighting, we can structure a finance solution for you. Check out our leasing programs to learn more about the process. Be sure to contact us if you have any questions.